Monsoon is here, and if there's something your skin needs, it's a hint of colour. Even if you're not a pro at make-up, blush is one of the easiest things you can apply and use everyday. You don't have to spend a crazy amount of money on blush—it can be a budget buy that you use everyday. 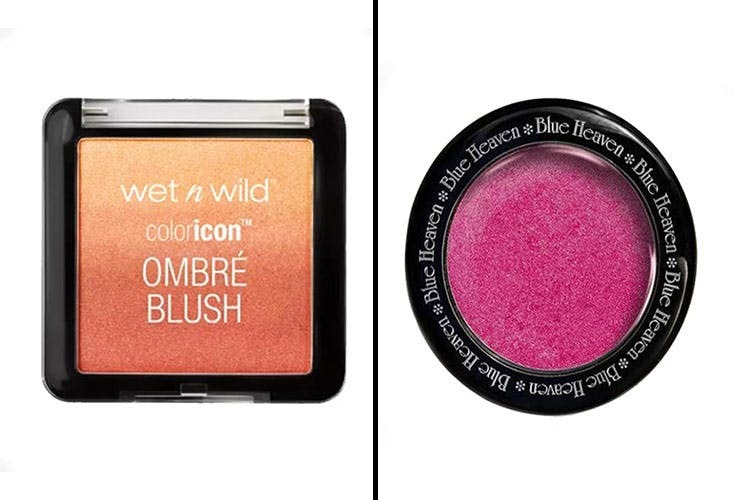 We found you 5 blushes under Rs 299. It comes in flattering shades that really pop on Indian skin. These shades go on easily and blend well. The great part is that one pot will last you a while, you just have to use a little bit of it to get the desired effect. If you want your blush to really amp up your look, this one does the job. It has a slight shimmer which isn’t too sparkly, so you can wear it from work to dinner. It makes your skin glow, and adds a lovely hint of colour. Just what you need on a dreary monsoon day. This one really brings it home with the pigment. The texture is a dream for the price, and it lasts long too! The colour is exactly as it looks in the pan and comes off strong, but diffuses wonderfully into the skin, leaving you looking flushed. This one packs a bunch because you can get two blush shades for the price of one. Just a little bit is enough to give you lovely colour. This is also a blush that doesn’t emphasise pores or make them look larger. We love how true to colour the blushes and eyeshadows from Sugar Cosmetics are. It goes on silky, is easy to blend and makes your face look flawless and pretty. We love how the deep colours show up on dusky complexions.